In New York City do you want a matchmaker or a matchmaking expert ? We all know about professional matchmakers and matchmaking services. But in New York City do you want a matchmaker or a matchmaking expert ? Julia Bekker, Founder of Hunting Maven is a true matchmaking expert. Originally mentored by Janis Spindel (and still is an affiliate on her team page) is a true matchmaking expert. With almost 15 years of successful matchmaking, Julia is also the resident dating expert for the NY post and CT post. So what makes someone a matchmaking expert ? It is almost simple but not all matchmaking services handle clientele the same way. For starters, Hunting Maven handles only men as paying clients. Women register for free and are considered by men clients as possible matches. If a man client is interested in a woman candidate, she is contacted to see if there if mutual interest. And again, women are free. But, a lot more goes into the process than just looking at pictures and profiles. What a true matchmaking expert does is get to know the client. In this case men. And we mean get to know them. While other matchmaker claim to do this same thing, Hunting Maven is different in that only a select few men become clients. It is not a situation where a client signs up and it handed off to someone else. The entire selection process is handled personally by Julia. Additional services such as image consulting, dating coaching, etc. can be handled by other team members. There are no cookie cutter programs. Every client and situation is unique, the way it should be as everyone is different. There is no one size fits all here like the matchmaking chain services. Another big distinction is Julia has plenty of personal experience being single in the dating scene. If you think about the dynamic world of today’s dating, it’s always changing and evolving. What may have been popular or a good idea a couple year ago is all different today. 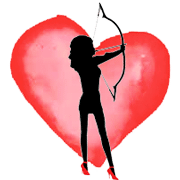 If you are looking for a true hands on matchmaker who will find that special someone, Hunting Maven is the only choice. When asking in New York City do you want a matchmaker or a matchmaking expert, the answer is obvious. And if you’re in South Florida check out Love Boss Matchmaking.